The P3-ROC is used to interface a computing device to a pinball machine, thereby allowing software running on the computing device to control the pinball machine. 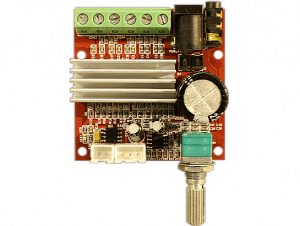 The P3-ROC talks with a number of other boards to control features such as coils, magnets, motors, servos, LEDs, switches, etc. The P3-ROC is perfect for controlling modern pinball machines. 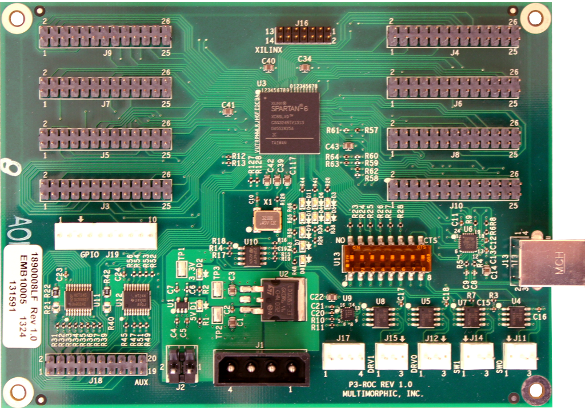 We designed it to work with modular driver and switch boards to reduce to wiring complexity over traditional machines. Reduced wiring complexity means better signal integrity, less wiring expense, and significantly simplified debugging. It also lends itself to fully modular pinball machine designs, such as the P3. The P3-ROC and related products are used in the P3 and also by other major pinball machine manufacturers, hobbyists, and custom machine builders. If you’re looking for a best-of-breed, mature, and cost effective solution for your machine, look no farther! Note – The P3-ROC is not compatible with WPC/Stern machines and does not have support for switch matrixes or DMDs. 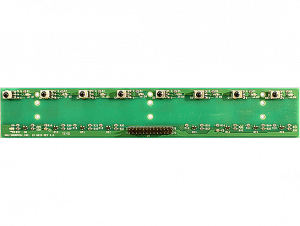 Designers using the P3-ROC should use SW-16 boards for switch inputs and a PC-connected display, such as an LCD. For switch matrix and/or DMD support, consider purchasing an original P-ROC. 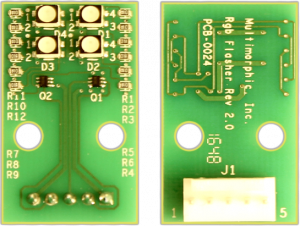 Also note – version 2 boards are very similar to version one boards. 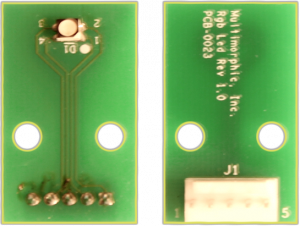 The only differences are the communication bus connectors (J11, J12, J14, and J15) are now 3 pins (with an optional ground pin) instead of 2, and the I2C connector (J17) now includes an interrupt input. The P3-ROC communicates with a host PC over USB. Your custom game software applications will run on the PC and use the P3-ROC for control of the real-time machine related functions, such as switch monitoring, output driving, and DMD driving. Therefore, the game application can implement the high level game management functions and leave the low level timing critical functions to the P3-ROC, thereby eliminating any potential problems with bus latency or software reaction time. For P3-ROC Firmware updates, visit the P-ROC and P3-ROC Firmware Page.